13/15 from the 2012 Treasure Hunts series. 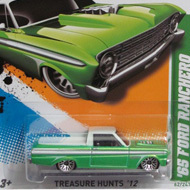 The Surf Crate sports lime green paint with black, blue, orange, and white graphics. 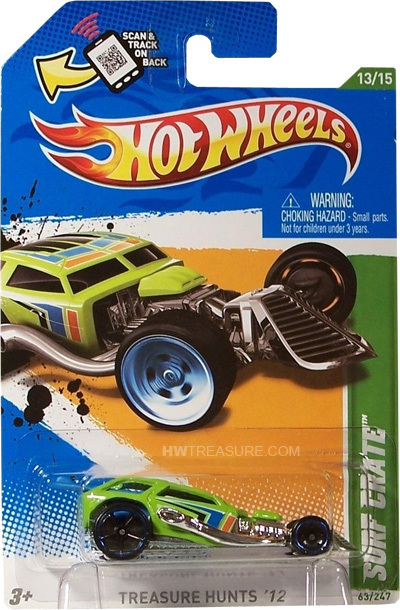 The Hot Wheels logo is on the sides and “TH” is on the roof. 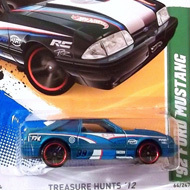 It has a blue interior and surfboard and an unpainted metal Malaysia base. There are skinny wheels in the front and Open-Hole 5-spoke wheels in the back. Both have blue chrome rims.